At Gracall International, we do not believe in the concept of “Outsourcing”. We do not believe one’s capability of providing a “Complete Solution” as a fix to any organizational or strategic problems, nor do we pretend to have years of cumulative “expertise” to understand your business better than you do. What Gracall International does believe in is the commitment of unrivaled flexibility and professionalism. Gracall Contact Center and Back Office Support collaborates with your existing resources to expand your business presence and achieve the shared goal of long term success. Leveraging strategic innovation and operational excellence, Gracall International has developed long term collaborative relationships and business extension programs to deliver operational success to clients worldwide. 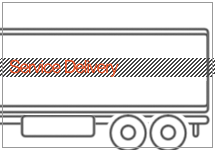 Learn more about our service delivery methodology and how it could work for your organization. Our commitment to you and service excellence. Send your Request for Proposal here. See our experiences in different types of industries, and how our services fit in to yours..
Gracall offers competitive packages and excellent growth opportunities. Build your career with us.